How did we make these sci-comics? There is a rapidly growing understanding of the role microbial symbioses play on insect host fitness and population dynamics. 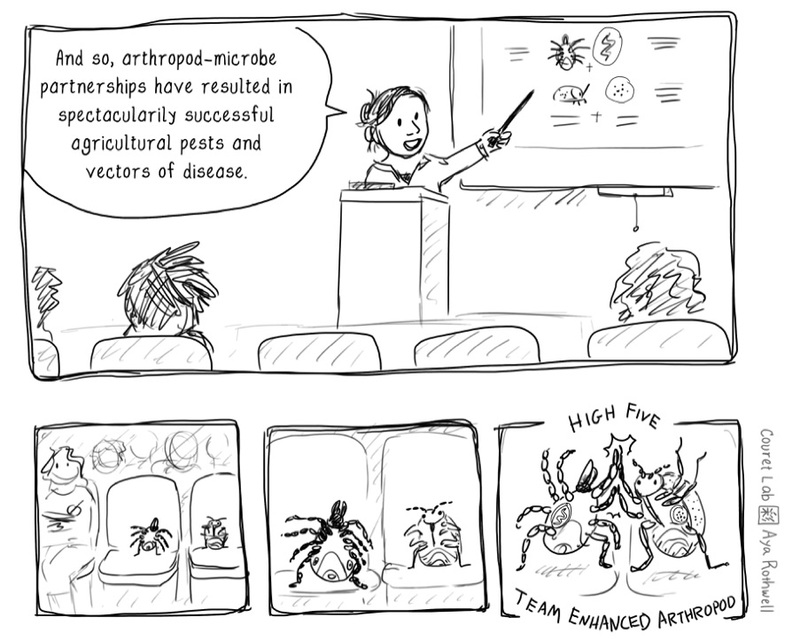 We are studying how arthropod-microbe interactions may be contingent on the ecological context of the associated host plants. 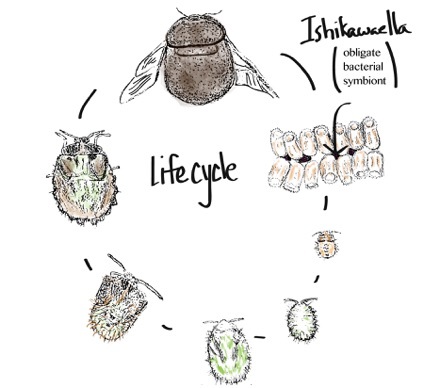 The study centered on an obligate microbial symbiont, Ishikawaella, and its host, the kudzu bug, Megacopta cribraria, a recently invasive agricultural pest.